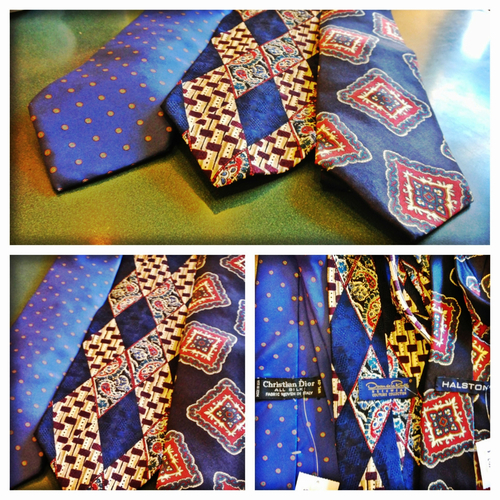 I went to my local Goodwill only to discover these 3 designer vintage neckties! A gentleman donated his huge vintage collection and I snagged these 3 the minute I saw them. I wish I came in the day before because I must have miss some even better pieces, but it's okay. The print on 2 of the neckties are a bit crazy; however, I'm sure I can think of something. Since today was 50% off of white tags I only paid $4.50... FOR ALL 3! What?! I know, I know, I can't believe it either!